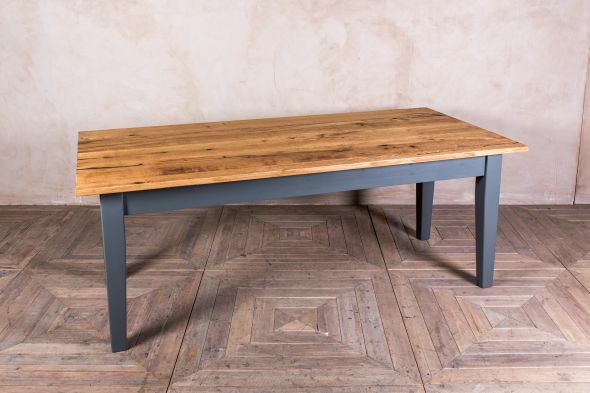 A classic piece of English furniture, this oak and pine table is a new addition to our extensive range of kitchen and dining tables for both modern and traditional homes. 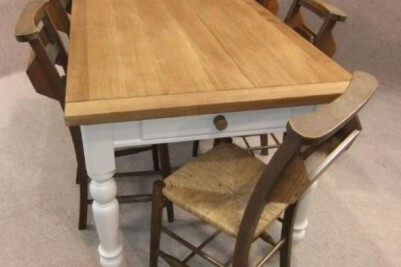 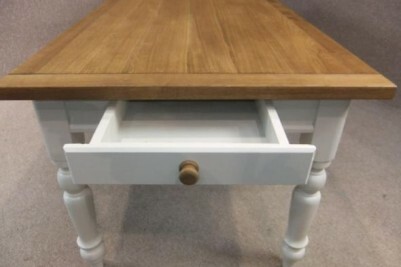 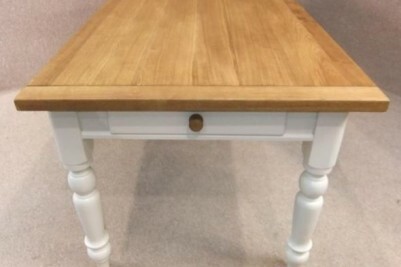 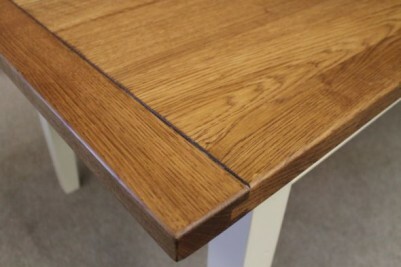 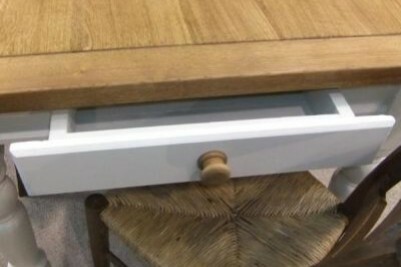 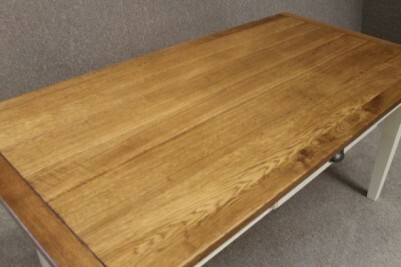 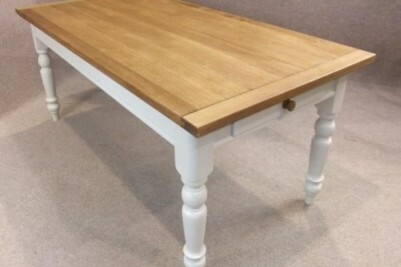 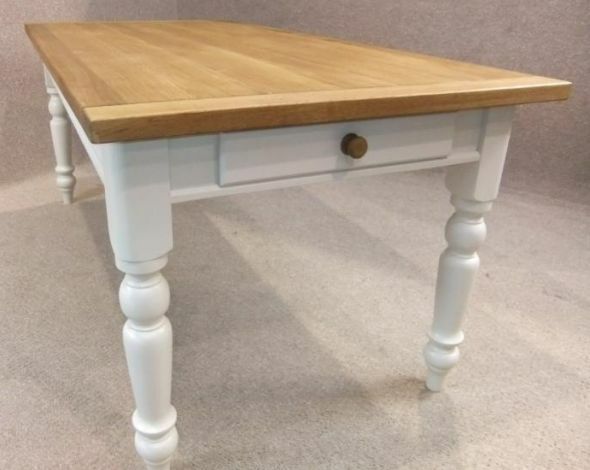 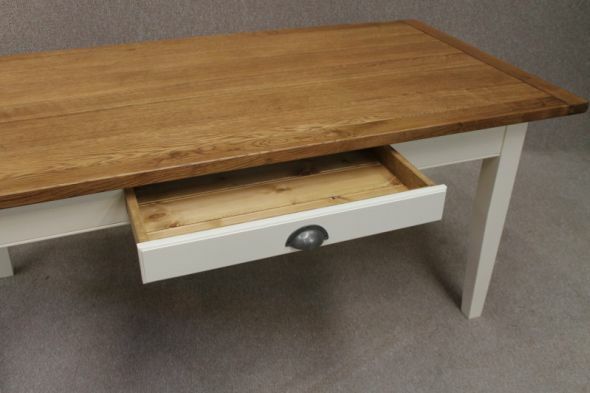 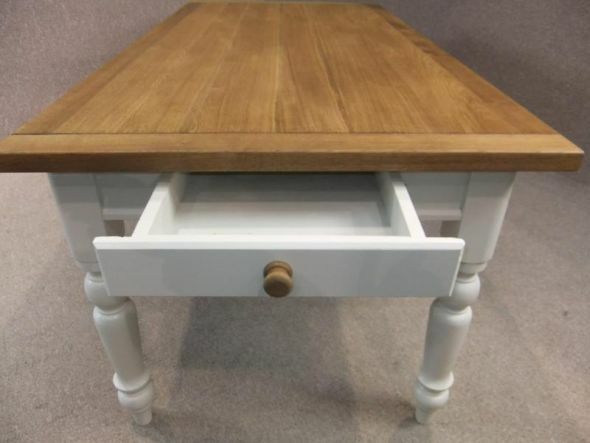 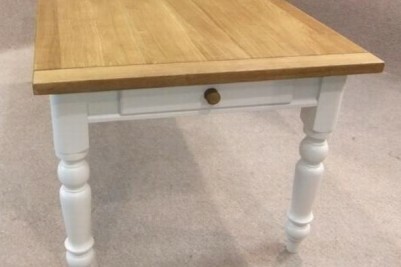 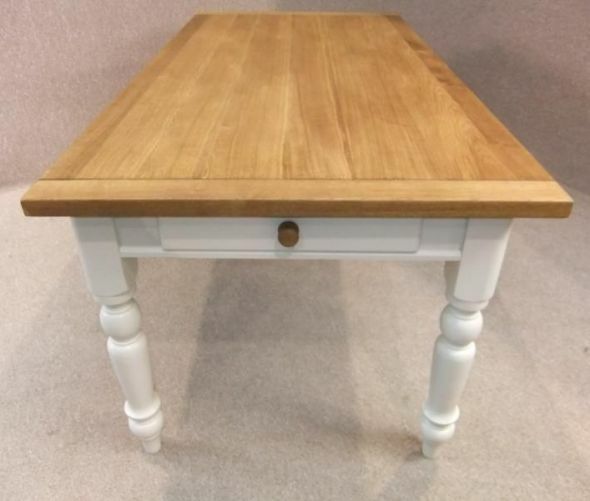 This oak and pine table features a useful large 1.25” thick top with traditional breadboard ends. 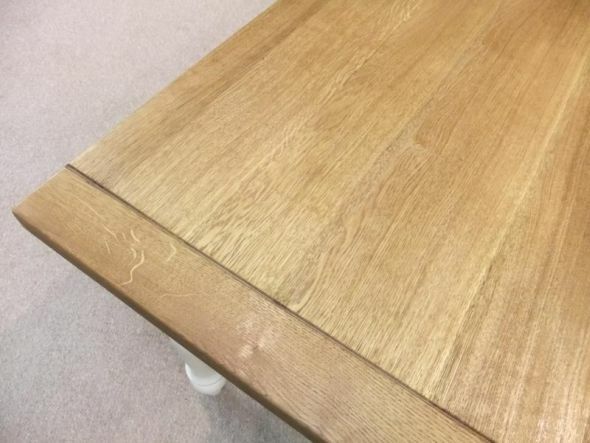 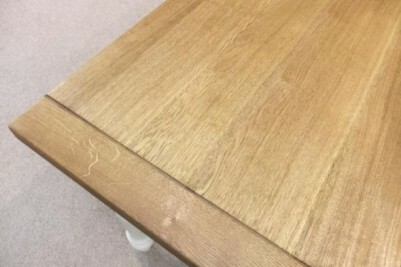 The table tops have been hand-oiled; this helps to prevent marks and scuffs and provides a very easy, hygienic wipe clean surface, which is extremely useful if you have young children. 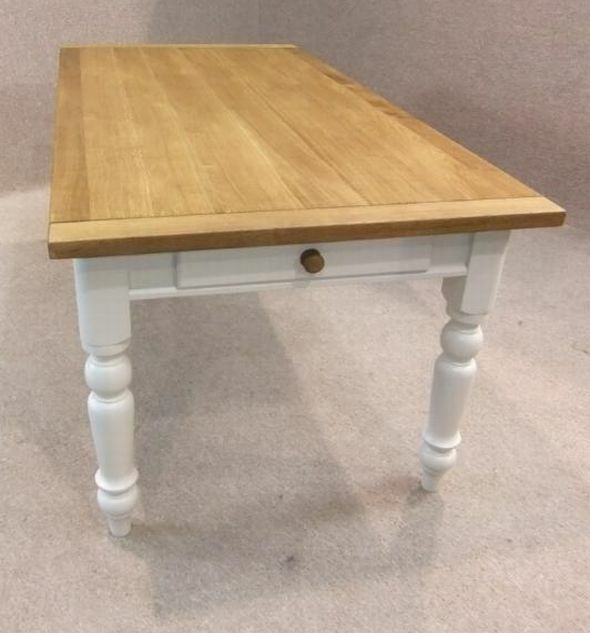 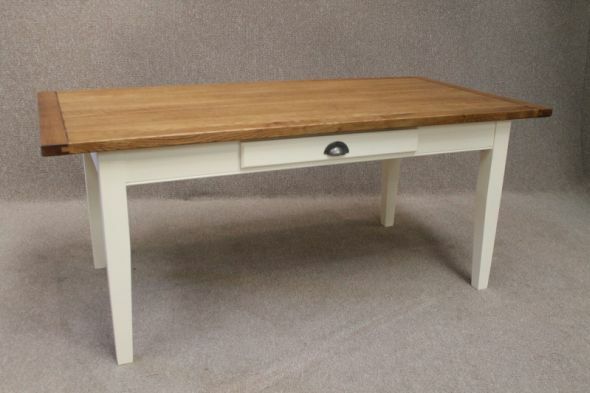 The oak table top sits upon a classic Victorian style pine table base with four decoratively turned legs, and a single cutlery drawer/place mat drawer at an added cost. 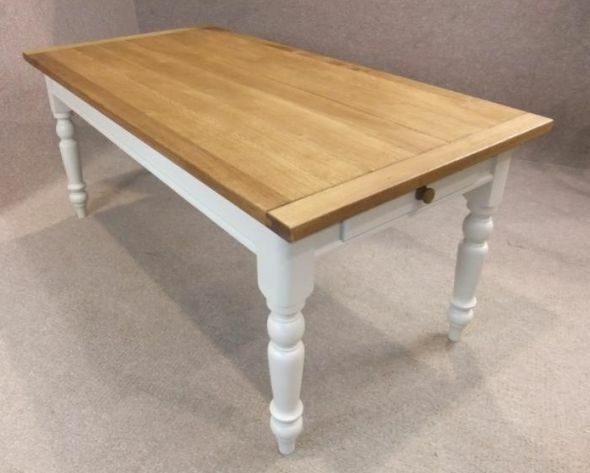 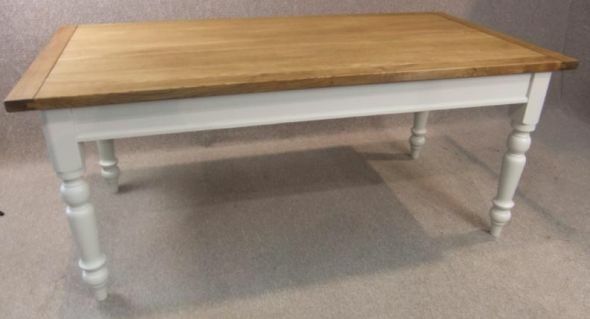 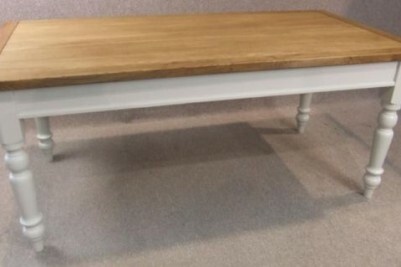 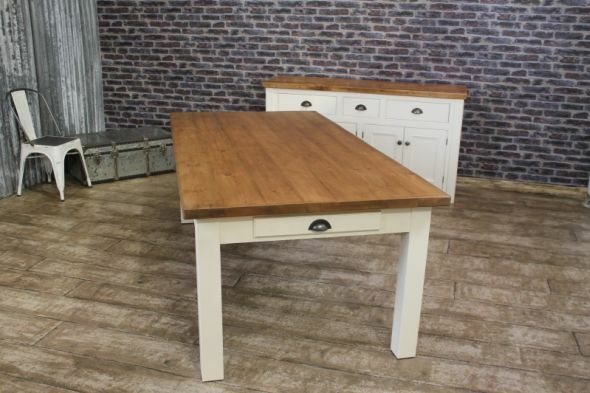 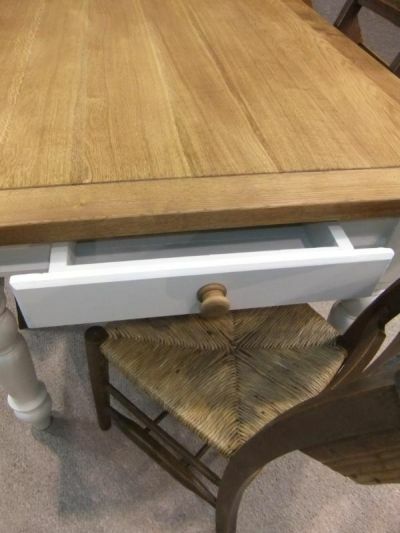 This oak and pine table is also available with a French farmhouse table base that features straight tapering legs and a single cutlery drawer/place mat drawer (Additional Costs will apply). 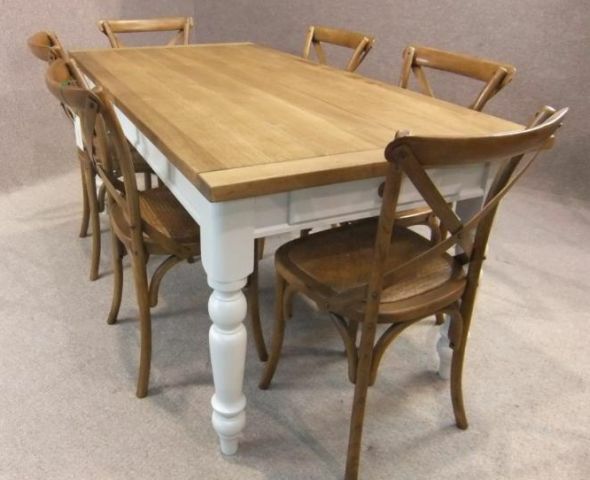 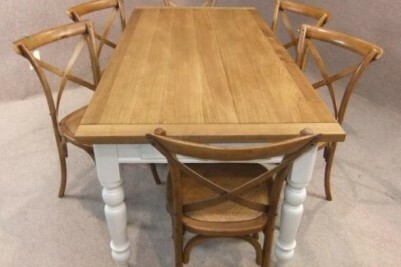 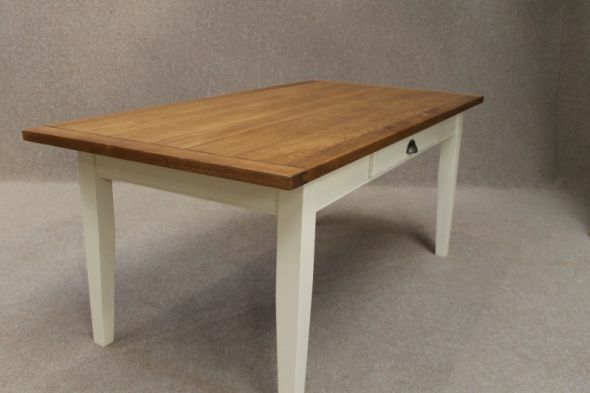 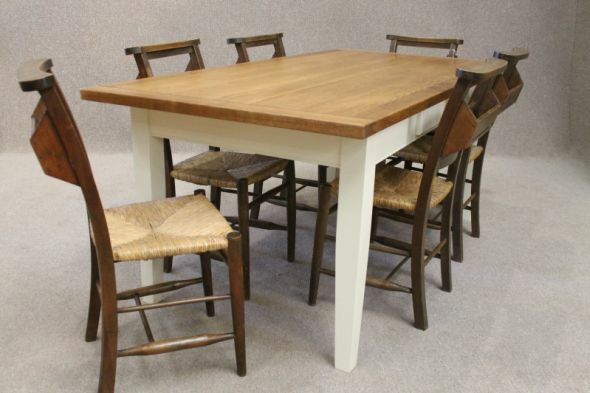 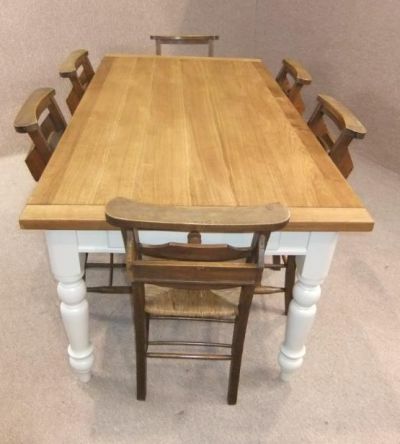 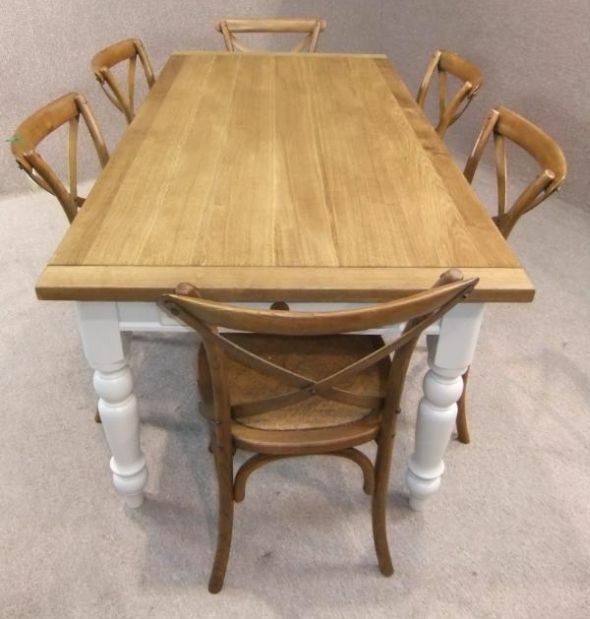 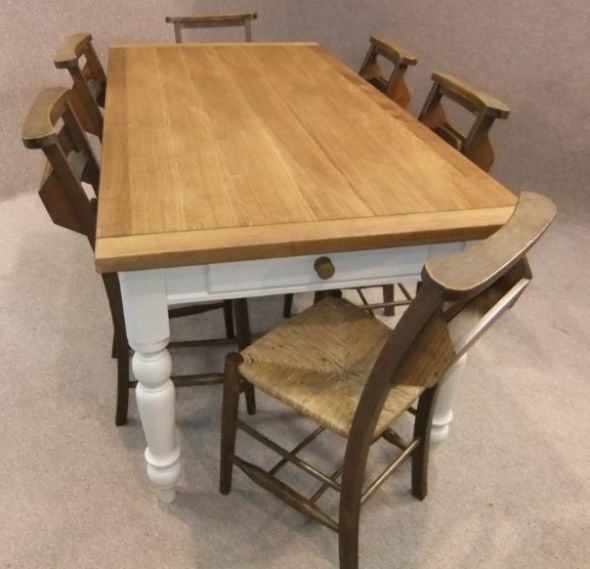 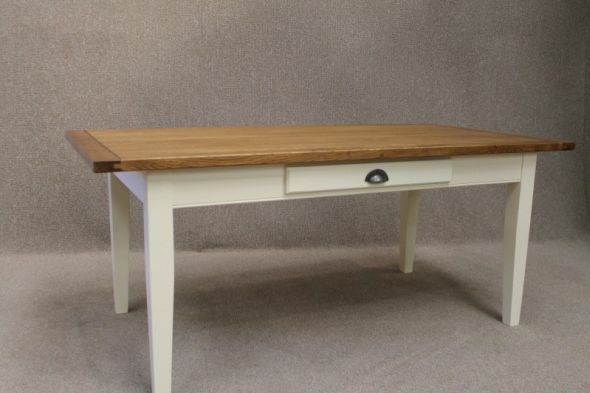 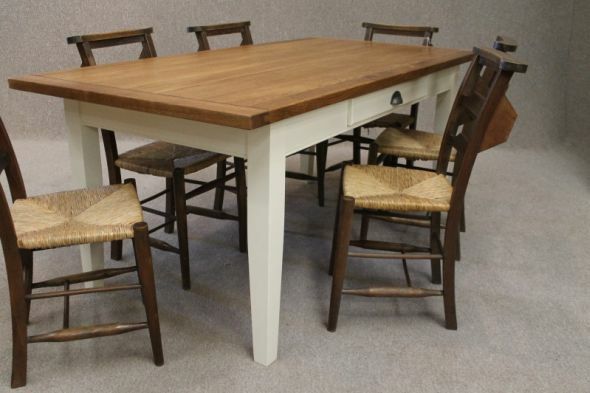 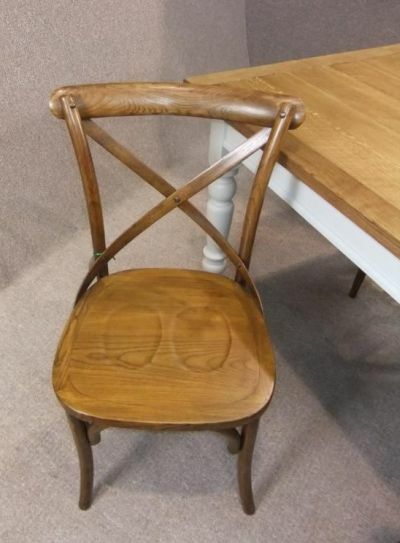 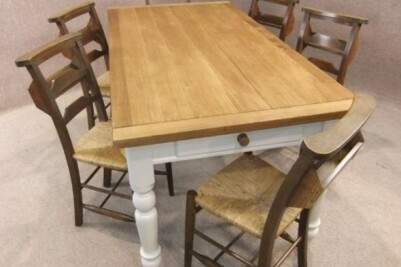 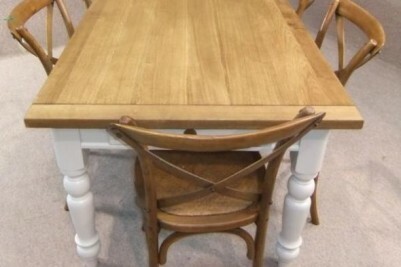 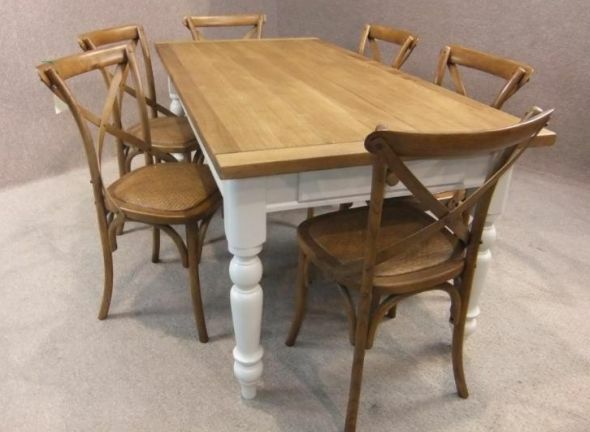 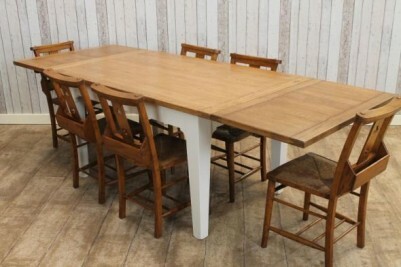 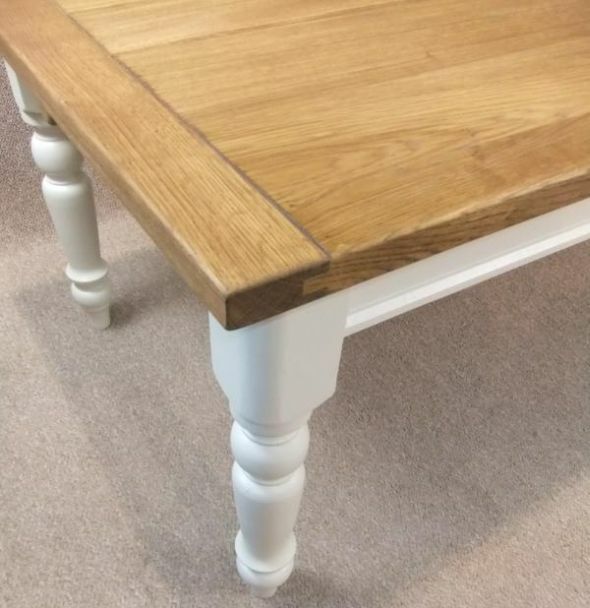 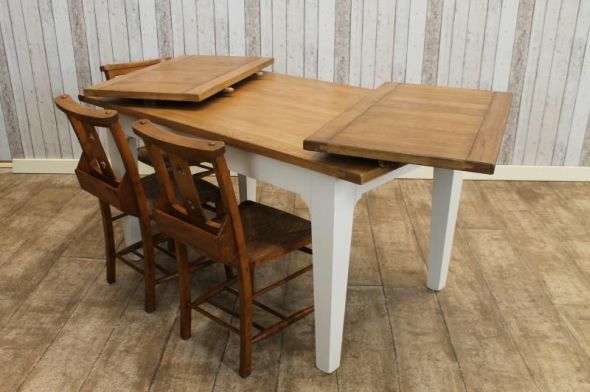 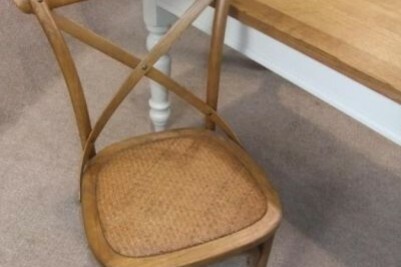 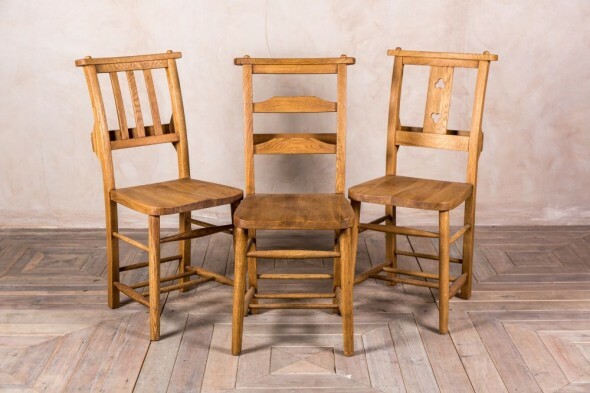 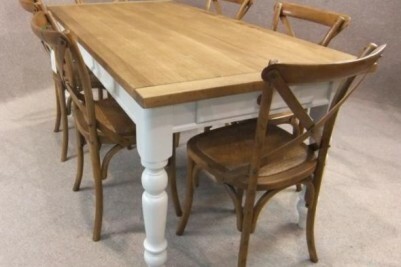 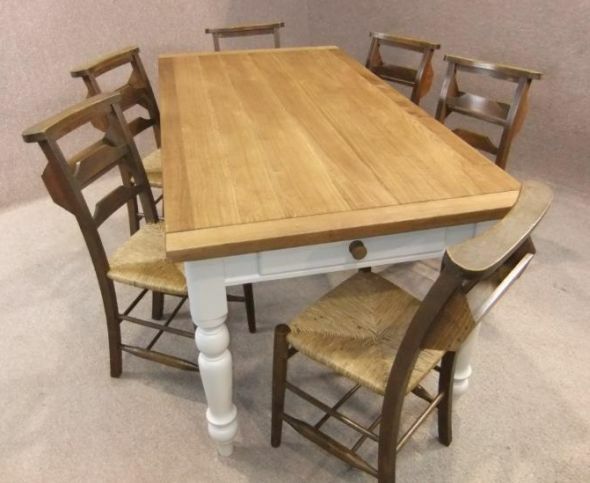 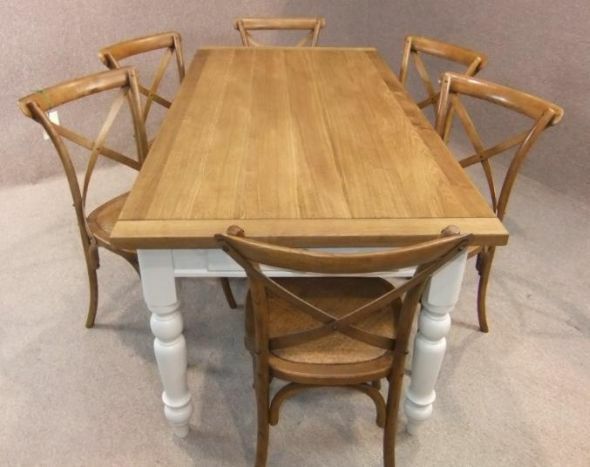 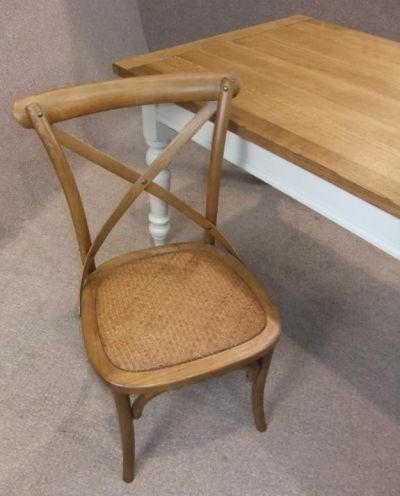 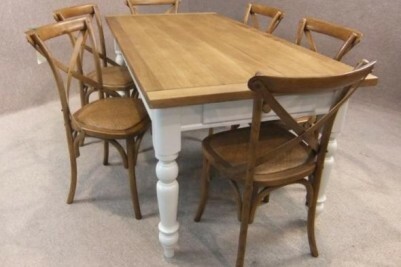 An extending version of this table is also available with either turned or straight tapering legs; please see the photographs and our other listings for more information. 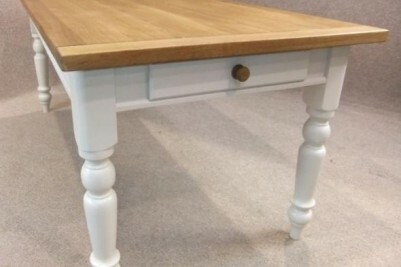 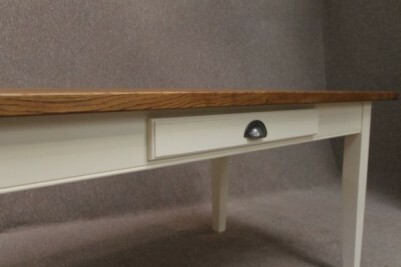 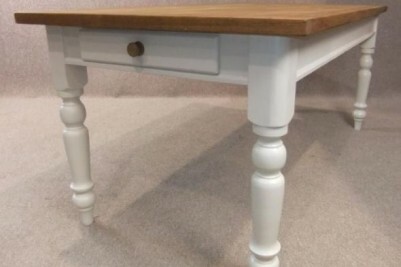 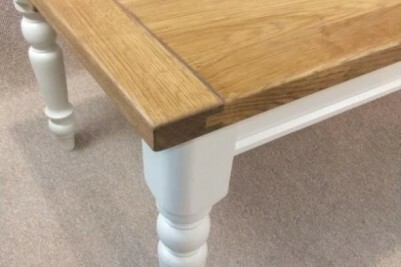 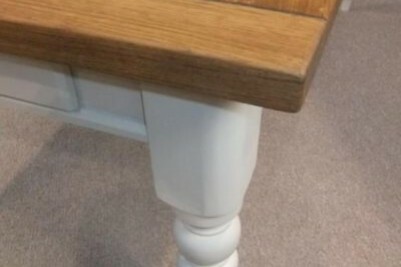 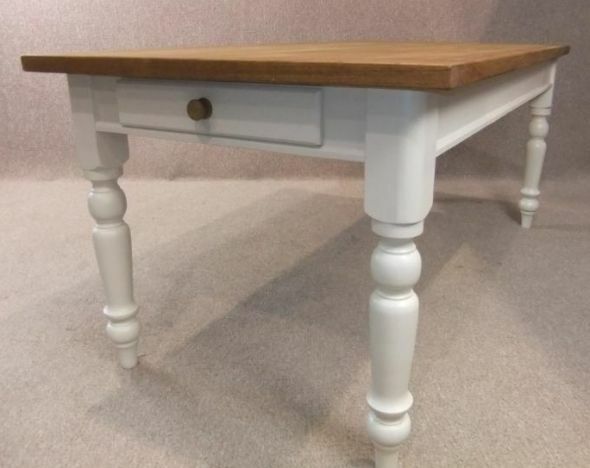 The pine table bases can be painted in any Farrow & Ball colour to suit your interior. 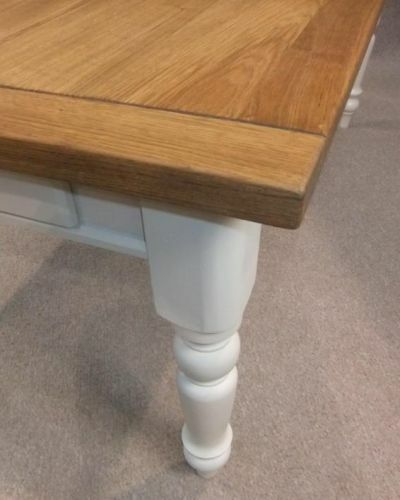 Please contact us on 01543 375872 to discuss colour options. 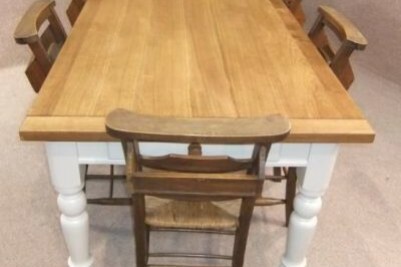 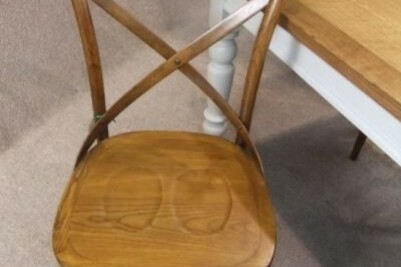 Please note, as this is a bespoke item, there is a lead time of approximately six weeks; this time may increase in the run up to Christmas.